One exemption that is very publicly displayed on the game’s PlayStation.com page gives Activision the right to discontinue service “due to a limited number of players continuing to make use of the service over time”. 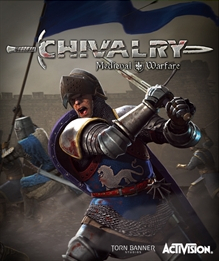 In the case of Chivalry the “time-limited agreement” that Torn Banner Studios mentioned in their post may have been based on this metric rather than a typical, annual licensing agreement. The game remains available on Steam as of this writing where it is published by Torn Banner Studios themselves. Besiege castles and raid villages in this 24 player online experience. Trade in your guns and grenades to test your mettle against cold hard steel on the medieval battlefield. Now including over 25 battlefields, up to 24 player online multiplayer, and an all new Horde Mode. Deep melee combat system allows you to wield an arsenal of 60+ brutal weapons ranging from broad swords to longbows.